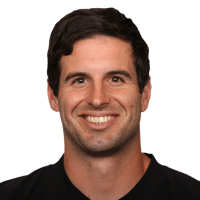 Published: Sept. 2, 2016 at 12:52 a.m.
San Francisco 49ers quarterback Christian Ponder runs it in for the 5-yard TD. Published: Aug. 20, 2016 at 11:47 p.m.
49ers quarterback Christian Ponder throws a strike for a 30-yard touchdown. Published: Aug. 20, 2016 at 11:37 p.m.
San Francisco 49ers quarterback Christian Ponder breaks loose for a 22-yard touchdown. Published: Aug. 25, 2013 at 09:15 p.m.
San Francisco linebacker Ahmad Brooks strips the football from Minnesota Vikings quarterback Christian Ponder and the 49ers recover it.